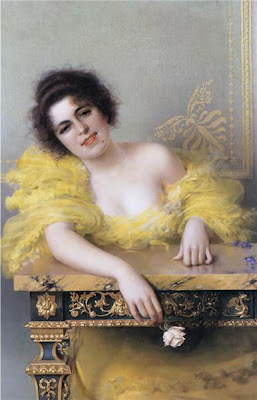 Born in Leghorn on 4 October 1859, in the 1870’s ).Vittorio Matteo Corcos studied at the « Accademia delle Belle Arti di Firenze » under Enrico Pollastrini. Between 1878 and 1879 he was in Naples at Domenico Morelli’s studio whose work, rich in literary associations and formal ideas made a great impression on him. A work that illustrates Morelli’s influence, « Arabo in preghiera » (The Praying Arab), dates from this period. 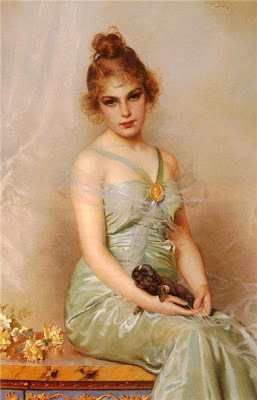 By the turn of the 20th century Corcos had become famous as a portrait painter. 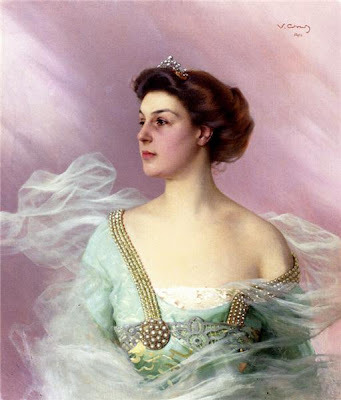 In 1904, in Germany, he painted portraits of Wilhelm II, the Empress and many important German figures, a little later he painted the portrait of Queen Amelia and later still, by now at the end of his career, the « Ritratto di Margherita di Savoia » (Portrait of Margherita of Savoy).